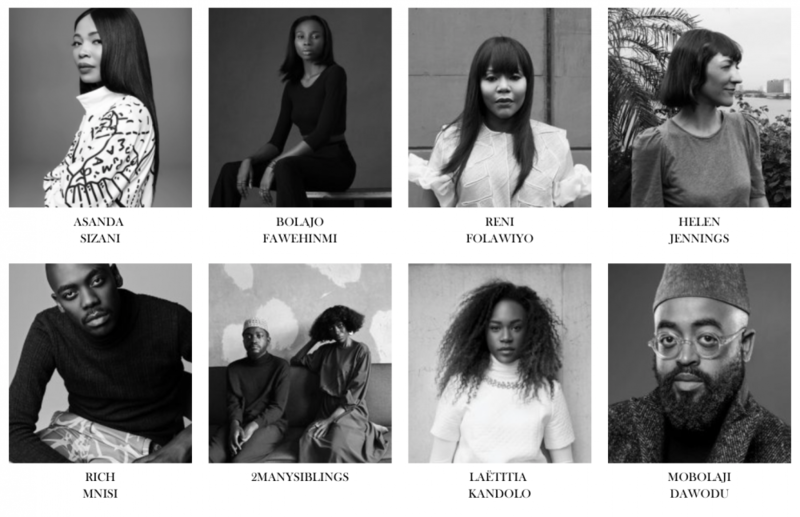 The FOFA brings together a new map of trailblazers that have and are shaping fashion that transcends the African border, transforming the continent into a global and influential powerhouse, and simultaneously bridging the gap between potential cross-cultural collaborations. The database consists of featured profiles carefully selected based on the criteria that their work is impactful and influential, and gives new meaning to fashion inspired by Africa. In this journal, we unravel the signals that are influencing the future of the fashion industry inspired by Africa. Founder Nsimba Valene explaines why. The roles are reversing. I have always believed this and will continue to spread this message. There was a time where Africa aspired to adopt a way of working and accommodate to a visual language standardised by the West. This is no longer the case. Instead, we witness a movement of new podiums created with or by Africans for Africans and to the rest of the world. Former aspirations are dying out, and whilst there is still a large influx of Western products, companies and media, it is Africa that is blending in to deliver new fashion dialogues to a global platform. Fashion in Africa has long had a stereotypical association with exoticism and tribalism, however a shift to a more contemporary way of thinking and dressing is influencing the fashion industry at large. This is paired with a digital shift in which storytellers are creatively and authentically contributing to Africa’s new and divers image that consists of countries, each having its own unique characteristic traits, history and culture. Professionals from Africa are reclaiming their position as individuals who are part of the modern wave, and proudly wear a cultural identity that is crossing borders to forge new expressions. We are living in a time where fashion needs to deliver more than just inspiring imagery. People want their eyes to travel, their perceptions and opinions to be challenged and enter dialogues that give meaning to their global identities. Africa can play an integral role in delivering these new inspiration and creative solutions. It is important that we start recognising the emergence of decision makers from Africa that are all pushing their individual message to a wider audience whilst creating new business opportunities and expressions that have a global outlook. I believe Africa can play an integral role, being a reservoir for cultural diversity that has and continuous to enrich the global landscape in so many ways. Therefore the FOFA will also advocate for a genuine appreciation of the idea of “diversity” within the fashion industry. While introducing you to this influx of taste-makers, in and outside of the continent the FOFA will serve as more than a mere database consisting of names active within or inspired by the African landscape. Alongside carefully selecting a community of professionals who are elevating the quality and standard of fashion, design, beauty and lifestyle internationally this journal will share the signals of a fast-changing industry redefined by Africa. The next global fashion stories are inspired by Africa.